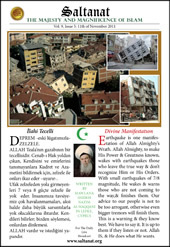 With Divine Love There are perhaps many people who have not seen a picture like the one above. 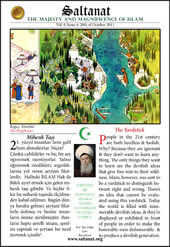 It shows how the Mevlevi dervishes, whose dergahs were closed on the order of the first president of the TR, helped in the victory of Gallipoli and willingly joined the war. According to the news reaching us, only in the Gallipoli war did thousands of mevlevis, and dervishes from all other tariqats, like in the photo above, voluntarily join to support the Ottoman army. In Harmony With Nature! 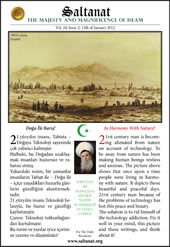 21st century man is becoming alienated from nature on account of technology. To be away from nature has been making human beings restless and anxious. The picture above shows that once upon a time people were living in harmony with nature. 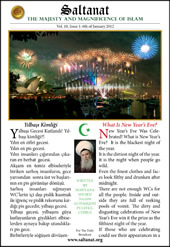 What Is New Year’s Eve? New Year’s Eve Was Celebrated! What is New Year’s Eve? It is the blackest night of the year. It is the dirtiest night of the year. It is the night when people go wild. To Whom Is This Universe? If the sons of Adam (as) could give an answer to this question the world would be in peace and serenity. Everybody would know their limit and their way. Why are they not teaching this in our schools? 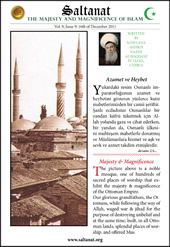 Magnificence The Ottoman Magnificence that was before the Turkish Republic. 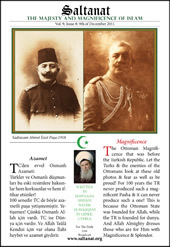 Let the Turks & the enemies of the Ottomans look at these old photos & fear as well as be proud! 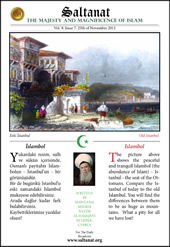 Islambol The picture above shows the peaceful and tranquil Islambol (the abundance of Islam) – Istanbul - the seat of the Ottomans. Education and Discipline This is an inspiring photo, from the turn of the 20th century. 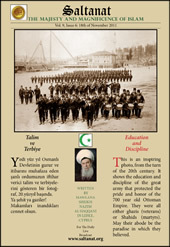 It shows the education and discipline of the great army that protected the pride and honor of the 700 year old Ottoman Empire.